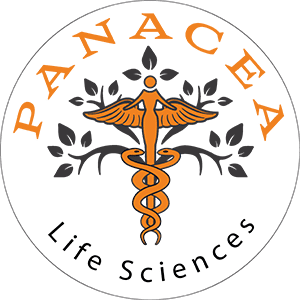 You will perform the following services for Company (the “Work”): you will create new or leverage existing relationships with physicians, medical clinics, hospitals, and other related medical provider(s) (the “Prospect(s)”) for the purpose of selling Panacea Life products or other of Company’s products (the “Product”). The Company will not control the manner or means by which you or your employees or contractors perform the Work, including but not limited to the time and place you perform the Work. Company will pay the Contractor a commission based on revenue collected and received by the Company from Product sold by the Contractor. The commission rate will be based upon the table below. Company will pay Contractor on the last day of each month for commissions earned from revenue collected from Contractor’s sales of Products, provided Contractor completed a W-9 and direct deposit form. Product Sold at Wholesale Price Reps may purchase cases at the bulk wholesale rate at a considerable discount. Please refer to the web site. The current discount rate is 35%. Referrals. If Contractor refers another sales representative (“Rep”) and that Rep notifies Company upon signing of Contractor’s referral, Company will pay Contractor on a quarterly basis based upon the table below for all valid sales made by Rep, provided Contractor completed a W-9 and direct deposit form. You are solely responsible for all travel and other costs and expenses incurred by you in connection with the performance of your Work, and in no event shall the Company reimburse you for any such costs or expenses. TERM AND TERMINATION. The term of this agreement shall commence on the date hereof and continue for five (5) years or until either party sends the other party written notice of termination. Termination may be sent via electronic mail or per the notice requirements herein, provided the party gives a minimum of fourteen (14) written days’ notice. You will be paid for any commissions earned pursuant to Section 3, i.e., commissions earned from revenue collected from Contractor’s sales of Product up to the effective termination date, within two (2) weeks after the effective termination date set forth in the notice of termination. No commission will be paid on any revenue received by the Company after the effective termination date set forth in the notice of termination regardless of when the product was sold or billed; all such monies will belong to the Company. You are an independent contractor of the Company, and this Agreement shall not be construed to create any association, partnership, joint venture, employee, or agency relationship between you and the Company for any purpose. You have no authority (and shall not hold yourself out as having authority) to bind the Company and you shall not make any agreements or representations on the Company’s behalf without the Company’s prior written consent. As an independent contractor, you will not be eligible to participate in any vacation, group medical or life insurance, disability, profit sharing or retirement benefits, or any other fringe benefits or benefit plans offered by the Company to its employees, and the Company will not be responsible for withholding or paying any income, payroll, Social Security, unemployment or other federal, state, or local taxes, making any insurance contributions, including for unemployment or disability, or obtaining worker’s compensation insurance on your behalf. You shall be responsible for, and shall indemnify the Company against, all such taxes or contributions, including penalties and interest. Any persons employed or engaged by you in connection with the performance of your Work shall be your employees or contractors and you shall be fully responsible for them and payment of all applicable taxes and benefits attendant to such employment by you and indemnify the Company against any claims made by or on behalf of any such employee or contractor. You, on behalf of yourself, your successors, assigns, and heirs, agree to indemnify and hold the Company and its officers, directors, employees, subsidiaries, affiliates and agents harmless from and against any damage, claim, assessment, interest, charge or penalty incurred or charged to Company as a result of any claim, cause of action or assessment by (a) any federal or state government or agency for any non-payment or late payment by you of any tax or contribution based upon compensation paid under this Agreement or because Company did not withhold any taxes from compensation paid to you hereunder, or (b) any party with respect to Benefits. You hereby waive and forego the right to receive any Benefits given by the Company to its regular employees, including, but not limited to, health benefits, vacation and sick leave benefits, profit sharing plans, such as 401(k) plans. You agree that if any government agency or court of law claims that you are an employee, you agree that you are not covered under these plans. This waiver is applicable to all non-salary benefits which might otherwise be found to accrue to you by virtue of your services to Company, and is effective for the entire duration of this Agreement. This waiver is effective independently of your employment status as adjudged for taxation purposes or for any other purpose. The Company may choose to appoint others to assist you, whether employees or independent contractors of the Company without affecting your status as an independent contractor. CONFIDENTIALITY AND OWNERSHIP. Contractor recognizes and acknowledges that Company and Company’s affiliates possess certain confidential information that constitutes a valuable, special, and unique asset. As used herein, the term “confidential information” includes all information and materials belonging to, used by, or in the possession of Company and its affiliates relating to their products, processes, services, technology, inventions, patents, ideas, contracts, financial information, developments, business strategies, pricing, current and prospective customers, marketing plans, and trade secrets of every kind and character, but shall not include (a) information that was already within the public domain at the time the information is acquired by Contractor, or (b) information that subsequently becomes public through no act or omission of the Contractor. Contractor agrees that all confidential information is and shall continue to be the exclusive property of Company, whether or not prepared in whole or in part by Contractor and whether or not disclosed to or entrusted to Contractor’s custody. Contractor agrees that Contractor shall not, at any time following the execution of this Agreement, use or disclose in any manner any confidential information of Company and its affiliates. To the extent any inventions, technologies, reports, memoranda, studies, writings, articles, plans, designs, specifications, exhibits, software code, or other materials prepared by Contractor in the performance of Work under this Agreement include material subject to copyright protection, such materials shall be deemed to have been specially commissioned by Company and constitute “works made for hire” as such term is defined under U.S. copyright law. To the extent any such materials do not qualify as “works made for hire” under applicable law, and to the extent they include material subject to copyright, patent, trade secret, or other proprietary rights protection, Contractor hereby irrevocably and exclusively assigns to the Company, its successors, and assigns, all right, title, and interest in and to all such materials. To the extent any of Contractor rights in the same, including without limitation any moral rights, are not subject to assignment hereunder, Contractor hereby irrevocably and unconditionally waives all enforcement of such rights. Contractor shall execute and deliver such instruments and take such other actions as may be required to carry out and confirm the assignments contemplated by this paragraph and the remainder of this Agreement. All documents, magnetically or optically encoded media, and other tangible materials created by Contractor as part of its services under this Agreement shall be owned by Company. RETURN OF MATERIALS. Contractor agrees that upon termination of this Agreement, Contractor will return to Company and then permanently erase all drawings, notes, memoranda, specifications, writings, software, devices, documents, and any other material containing or disclosing any confidential or proprietary information of Company and its affiliates. Contractor will not retain any such materials and will certify in writing to the Company that Contractor has complied with the aforesaid requirements. You shall perform the obligations hereunder in compliance with the terms of this Agreement, all applicable laws and regulations. You shall comply with all of the Company’s policies and procedures when working on-site at the Company. You are not under any obligation to any person, entity or corporation, including without limitation obligations under confidentiality, non-competition or other agreements, and has no other interest that is inconsistent or in conflict with this Agreement, or which would in any way prevent, limit or impair the performance of the Work hereunder. You further represent that you will not provide Company with or use in the performance of the Work any material, products, information or processes, whether tangible or intangible, written or otherwise, that will violate any proprietary rights of third Parties including, without limitation, patents, copyrights or trade secrets, and that any information you may supply to the Company or utilize with respect to performing the Work will have been obtained by you lawfully. All work product is and shall be your original work (except for material in the public domain or provided by the Company) and you do not and will not violate or infringe upon the intellectual property right or any other right whatsoever of any person, firm, corporation, or other entity. The execution of this Agreement by its representative whose signature is set forth at the end hereof has been duly authorized by all necessary corporate action. OTHER BUSINESS ACTIVITIES. You may be engaged or employed in any other business, trade, profession, or other activity which does not place you in a conflict of interest with the Company; provided, that, during the Term, you shall not be engaged in any business activities that do or may compete with the business of the Company or its affiliates, and specifically, you may not perform any services for the following direct competitors: Ambary Gardens, Bluebird Botanicals, Boulder Botanicals, CV Sciences, CW Hemp, Elixinol, Humboldt, Stratos, or Tetralabs without the Company’s prior written consent to be given or withheld in its sole discretion. NON-SOLICITATION. You agree that during the term of this Agreement and for a period of one (1) year following the termination of this Agreement, you shall not make any solicitation to employ the Company’s or its affiliates’ personnel without written consent of the Company to be given or withheld in the Company’s sole discretion. You shall not, during the Agreement and for a period of one (1) year immediately following termination of this Agreement, either directly or indirectly, call on, solicit, or take away, or attempt to call on, solicit, or take away, any of the customers or clients of the Company or its affiliates on whom you called or became acquainted with during the terms of this Agreement, either for your own benefit, or for the benefit of any other person, firm, corporation, or organization. NON-COMPETE. You shall not, during the term of this Agreement and for a period of one (1) year immediately following termination of this Agreement for any reason, (the “Restriction Period”), directly or indirectly: own, manage, operate, control or participate in the ownership, management, operation or control of, or be connected as an officer, employee, consultant, partner, director, independent contractor, or otherwise perform services for any business that sells cannabis products or provides services to a cannabis company or any other business that involves similar Product or services on which you worked or learned about at any time during the period of one (1) year prior to the termination of this Agreement, which business is in competition with the business conducted by the Company and any of its affiliates in any geographic area where such business is being conducted during the Restriction Period; provided that ownership, for personal investment purposes only, of no more than one percent (1%) of the voting stock of any publicly held corporation shall not constitute a violation hereof. For purposes of this Agreement, competitors and suppliers include but are not limited to the following companies and any affiliates thereof: Ambary Gardens, Bluebird Botanicals, Boulder Botanicals, CV Sciences, CW Hemp, Elixinol, Humboldt, HMBLT, Stratos, or Tetralabs. INDEMNITY. Contractor agrees to indemnify, defend, and hold Company and its successors, officers, directors, agents and employees harmless from any and all actions, causes of action, claims, demands, cost, liabilities, expenses and damages (including attorneys’ fees) arising out of, or in connection with any breach of this Agreement by Contractor. Attorneys’ Fees. Should either party hereto, or any heir, personal representative, successor, or assign of either party hereto, resort to legal proceedings in connection with this Agreement or the Contractor’s relationship with the Company, the party or parties prevailing in such legal proceedings shall be entitled, in addition to such other relief as may be granted, to recover its or their reasonable attorneys’ fees and costs in such legal proceedings from the non-prevailing party or parties. Governing Law. This Agreement shall be governed by and construed in accordance with the laws of the State of Colorado without regard to conflict of law principles. Entire Agreement. This Agreement contains the entire agreement and understanding between the parties hereto and supersedes any prior or contemporaneous written or oral agreements, representations, and warranties between them respecting the subject matter hereof. This Agreement may be amended only by a writing signed by the Contractor and by a duly authorized representative of the Company. If any term, provision, covenant or condition of this Agreement, or the application thereof to any person, place or circumstance, shall be held to be invalid, unenforceable, or void, the remainder of this Agreement and such term, provision, covenant or condition as applied to other persons, places, and circumstances shall remain in full force and effect. The headings and captions of this Agreement are provided for convenience only and are intended to have no effect in construing or interpreting this Agreement. The language in all parts of this Agreement shall be in all cases construed according to its fair meaning and not strictly for or against either party. No failure or neglect of either party hereto in any instance to exercise any right, power or privilege hereunder or under law shall constitute a waiver of any other right, power or privilege or of the same right, power or privilege in any other instance. All waivers by either party hereto must be contained in a written instrument signed by the party to be charged and, in the case of the Company, by an officer of the Company or other person duly authorized by the Company. Remedy for Breach. The parties hereto agree that, in the event of breach or threatened breach of any covenants of Contractor, the damage or imminent damage to the value and the goodwill of Company’s business shall be inestimable, and that therefore any remedy at law or in damages shall be inadequate. Accordingly, the parties hereto agree that the Company shall be entitled to injunctive relief against Contractor in the event of any breach or threatened breach of any of such provisions by Contractor, in addition to any other relief (including damages) available to Company under this Agreement or under law. Any notice, request, consent, or approval required or permitted to be given under this Agreement or pursuant to law shall be sufficient if in writing, and if and when sent by certified or registered mail, return receipt requested, with postage prepaid, to Contractor’s address or email (as noted below), or to Company’s principal office at Panacea Life Sciences, Inc. 385 S. Pierce Avenue, Suite G, Louisville, CO 80027. Contractor shall, during and after termination of services rendered, upon reasonable notice, furnish such information and proper assistance to Company as may reasonably be required by Company in connection with work performed by Contractor. This Agreement may be executed in multiple counterparts and by facsimile signature, each of which shall be deemed an original and all of which together shall constitute one instrument. Notwithstanding any other provision herein to the contrary, any controversy or claim arising out of or relating to this Agreement, or the breach thereof, will be settled by arbitration administered by the American Arbitration Association (“AAA”) in accordance with its Commercial Arbitration Rules. The number of arbitrators will be one. The place of arbitration will be Denver, CO. Colorado law will apply. Judgment on the award rendered by the arbitrator may be entered in any court having jurisdiction thereof. The Parties agree that arbitration by the AAA will be the final and binding resolution and the prevailing party will be entitled to recover reasonable attorney fees in such suit or action, including any appeal.